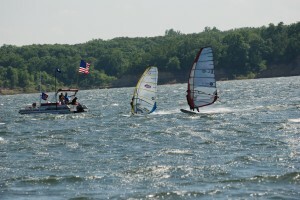 The 2010 Dam Jam took place this weekend, May 22-23, 2010 on Saylorville Lake just north of Des Moines, IA. 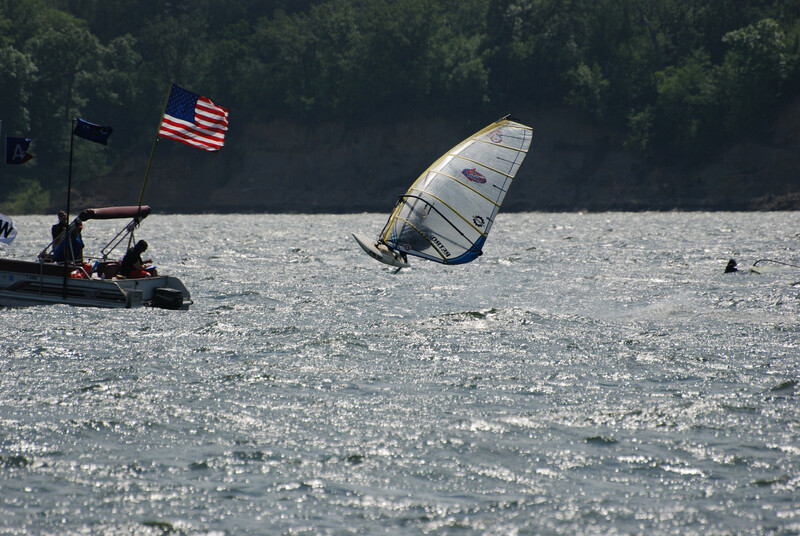 28 sailors from Iowa, Minnesota, Wisconsin, Illinois, Nebraska, and Canada raced in great conditions from 15-30 mph both Saturday and Sunday. A big thanks goes out to “Low Boom” Larry Reed, Barry Tofteland, Chad Hutson, Jeff Hegwer, Jason Swanson, and the rest of the crew that made this event happen. This was the first year without Uffe the Swede and we all missed his big personality and sailing skills. Saturday had great winds. 12-20 in the morning for 3 races on a modified box course. 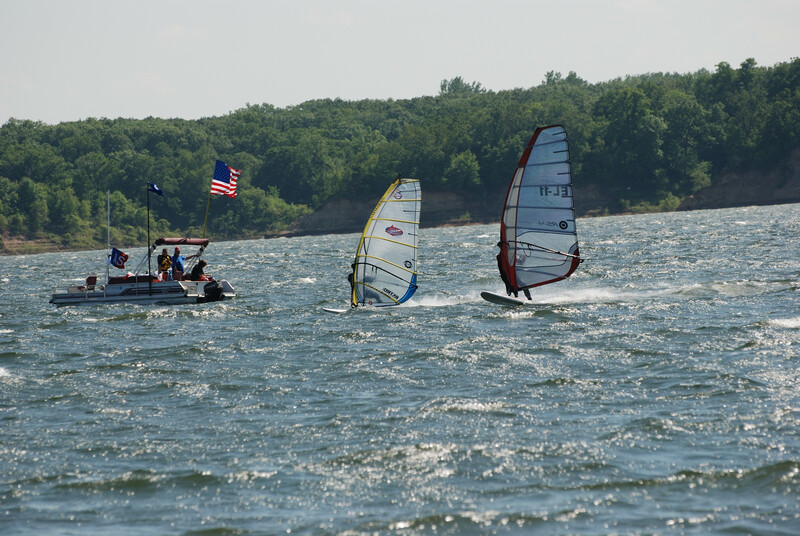 Winds increased to 20-30 by lunch and we resumed racing on a Figure 8 slalom course. Four races were run on the Figure 8 in fantastic winds. Seven races in and competition was tight in A Fleet between Arden Anderson and Robin Shaw. Sunday had good winds as well and was even warmer out. 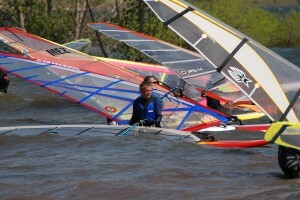 We got off four more races on a modified box course in 15-20 mph winds, for a total of 11 races on the weekend. 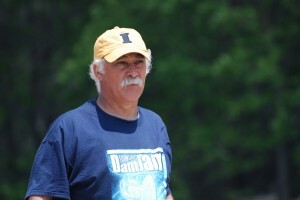 Arden was able to extend his lead to win the event. Robin Shaw, Don Altmyer, Larry Miller, and Peter Hartwich rounded out the top 5. 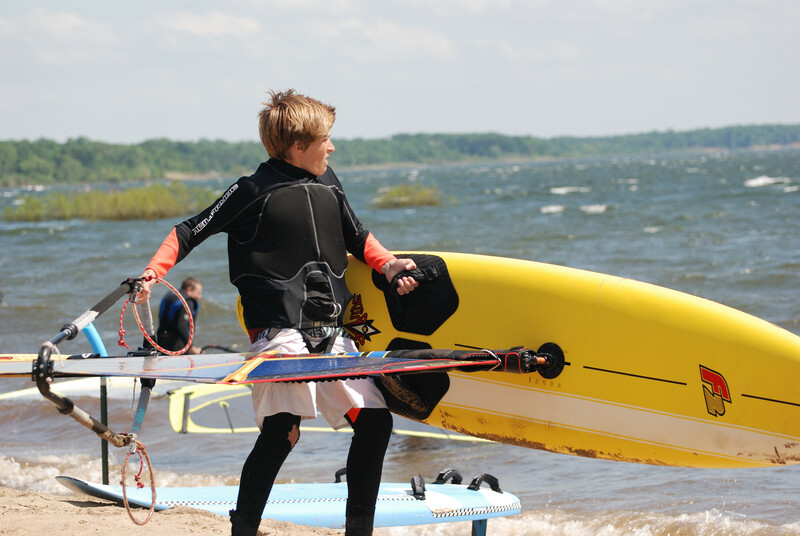 A big shout out to the folks at Waterhound, a great site for watersports, as they have been picking up our posts! Igor Tereshchenko took some great photos during the slalom races. You can check them out at Picasa: CLICK HERE.